Are you trying to contact Very? Then look no further, because you can find all the information you need on this page. We can help you to connect with the British retailer through the phone, the internet, or the post. 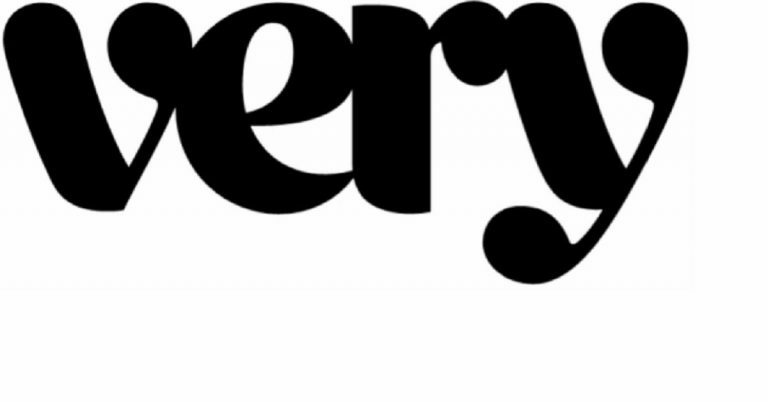 Very is an online retailer in the UK. The Shop Direct group launched the brand in 2009. Shop Direct also owns the familiar brand Littlewoods, which used to run a mail-order catalogue service. Both are primarily online retailers now (while also offering telephone sales). Very aims towards a younger market, with the app and mobile site enhancing sales. It is basically an online department store, selling the usual range of goods. This includes sections for fashion, children and babies, beauty, electricals, sports, gifts, and home and garden. Very often has celebrities design their own ranges, like Fearne Cotton and Michelle Keegan. Contact Very on the phone seven days a week with these helpline numbers. Whenever you have a general query or a frustration with Very, call 0844 826 8480 to discuss it. Customer services will provide information upon request, such as product descriptions, delivery options, promotion terms and conditions, sizing guides and more. Very may contact you if there is a safety notice and product recall. Call them if you need more information in the event that happens. This is also the number to call if you have a complaint to make about Very products or services. They will try to resolve this for you quickly, but they might have to investigate and get back to you. Ask to escalate a complaint if you are still unhappy. You can track orders through your online account, or call 0843 208 7673 to find out where your parcel is. Should you need to amend the delivery time or address, it depends on the policy of the courier. Call Very and find out if they can make any changes. You may need to follow this up yourself with the courier. If you miss a nominated day or express delivery, Very will usually refund the delivery charge automatically. Call if you don’t receive your delivery on time and don’t receive a refund for delivery costs. Very are not liable for delays due to adverse weather. Call if you need assistance with any delivery service, including CollectPlus. You can arrange a return through the Returns tab in your online account. Very offers free returns up to 28 days after receipt through CollectPlus and the Post Office. For items over 10kg, you might have to pay the postage charges. For larger items like home appliances, contact Very to arrange a free collection. Check the returns policy before returning an item, as Very will send it back to you if it isn’t in acceptable condition. Call 0843 208 7674 for advice on returns, or to chase a return you already sent. It takes at least 3 working days from Very receiving the return to process a refund. Use the receipt details to track the return parcel. Shoppers can pay for their online orders upfront with their card details the usual way. If a payment is declined, you should contact your bank first of all. Very offers its own credit options to help frequent customers spread the cost of their shopping. This includes Buy Now Pay Later for deferring payments, plus Take 3 to split the cost into 3 monthly payments. When you create your Very Account, which is an exclusive credit account, you have the option of flexible payments. This means you pay a minimum of £5 or 7% of the cost each month. Call 0843 208 7675 for help with payment options, including offer codes. It might be confusing, but My Account and Very Account are different things. My Account is your basic online account where you can monitor your orders. You can also amend your delivery address book and your contact details. Call Very on 0843 557 3635 if you are having difficulty accessing your Account for any reason. Very can help you with changing your password and unlocking your account. Call at once if you did not try to access your account but it says that you did. You can also get technical support for the MyVery app if you have trouble syncing your account. Call to unsubscribe from Very marketing e-mails. While Very doesn’t operate any physical stores, customer service is just as important for the brand. If you have other ambitions, check out all the opportunities with Shop Direct. There are offices in Speke, Aintree, Bolton, Oldham, and a new development in London Victoria. Search and apply for vacancies on the careers website. If you have any questions about a listing or don’t see a job for you, call 0843 557 5204 and ask to speak to someone in HR about recruitment. Young people can ask about the Up & Coming apprenticeships and internships. Find out about internal development or future opportunities in your area of the business. Disgusting company to shop with…don’t do it I ordered garden furniture in MAY and still have not received it, tried using the query message on my account only to get a message saying they will get back to you and do not.. The courier could not deliver as a part was missing so sent it back to very, only for very to re-send it to courier again the next month. I escalated to a complaint and they cancelled order and re-ordered and the same incomplete order was sent again, my incomplete furniture is going backwards and forwards but no one actually deals with it. I have contacted Financial Ombudsman now as I tried the very complaint line during office house and NO ONE answered!!! The customer service is shocking and to top it off I have £900 less credit available as this is interest free despite the fact they cannot supply the goods I originally ordered at the beginning of may – I have been a customer of Very for years but they can no longer offer a service to the public – Shop elsewhere nothing they supply is complete, delivered on time and customer service is non existent. Perhaps 3 months is not enough time to order garden furniture ready for the summer!! – start ordering Christmas presents now!! I need someone to contact me from Very as I’m waiting fore my bedroom furniture to be delivered . This is the third week of waiting. And third day off work. Never going to shop with this company again. Look what they have done to me. I have sent you several letters no reply from you. Please see attached the raison I have stopped the payment. And, I am claiming all monthly has been paid previously. I insisted to clean my account to £0.00. You have got back the phone. I don’t need the phone anymore because I have bought a phone from the local shop. After 4 months estimated Shop Direct has my phone to be repaired, it is now they are sending a letter to tell me that according the term of condition. I have to be charged. Very wants to charge me £85.00 for repair. Because VERY has sent the phone to casual repair centre. The phone after 3 months cannot ready the SIM card.